Being co-published by BGI we are regular participants at their yearly ICG (International Conference on Genomics) conference in Shenzhen. Since the very first meeting in 2006, ICG has grown to become one of the most influential annual meetings in ‘omics’ research, and is now in its 13th edition. GigaScience have been media partners since we launched and have also assisted in organising a number of fun thematic tracks over the years (see ICG-8’s blog here and ICG-10’s GigaTV videos of the talks). Being a conference primarily driven by and covering technological advances in ‘omics technologies, ICG is a great place to get close and interact with the pioneers of the field, with plenary speakers including Nobel laureates, pioneers of the human genome project, and CEOs showcasing their latest technologies. While the other tracks often cover bioinformatics and sub-field specific research, it has always been more of a conference for big-picture overviews rather than the latest unpublished work. Last year we decided to address that gap by launching our first ever competition and prize track to promote new, cutting edge, unpublished research in the field of large scale biological and biomedical research. This track included submissions of both theoretical and experimental ‘omics research in areas covered by GigaScience‘s scope, and carried out in our typically open science way showcasing the latest real-time and open peer review methods. How did the first GigaScience Prize turn out? Our first attempt at running this competition turned out spectacularly well, with six fantastic winners (pictured) presenting their work in Shenzhen, and lots of feedback from the attendees that it was the most interesting session in the conference. It met our goals in presenting the latest cutting edge work, and through supporting their travel to the meeting it was good to see much of the work presented by many of the PhD students and postdocs that actually carried it out rather than their supervisors. With almost all of the final papers now in print (see the series page) the standard was very high, and two of the 2017 winners have received our highest altmetric scores for social media and press coverage. Daniela Puiu’s paper on the Salzberg labs ambitious first near-complete assembly of the hexaploid bread wheat genome was highlighted in Nature as one of the most complicated genomes ever read. And the eventual winner Taras Oleksyk and the Solenodon genome, was highlighted in Newsweek, El Pais, Haaretz, IFLS and across the globe. We filmed all the talks and you can see the videos on our GigaTV youtube channel and in Gigablog, with the winning video also included below. With the success of our first completion we therefore want to do this again. If you’ve ever wanted to attend ICG, now is your chance to join us at the amazing ChinaNational GeneBank building, on October 25-28th 2018. Winning entries will again get registration and travel covered to come out and present their work. 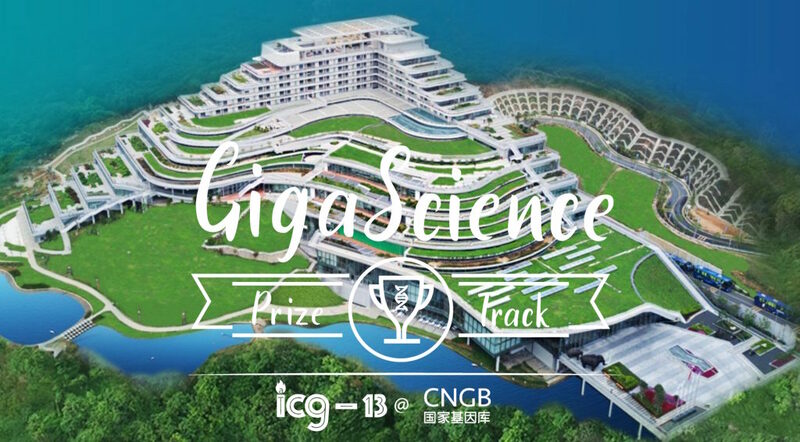 Each author of a submission that is accepted for the series will be given complimentary registration and travel to ICG-13, so they can present their winning work in the GigaScience Prize track. Your accommodation, flights and local transport will be covered to bring you to the big event in Shenzhen. The top paper will receive a cash prize of $1000 USD and a free APC (article processing charge: usually worth $2000 USD). Second place will receive a free APC; Third Place 75% off an APC; and all other papers awarded a presentation in the track will receive a 50% APC discount. Papers that are sound but don’t meet the criteria for this session may be offered talks in other sessions or poster presentations at the conference. Peer review will be handled by the GigaScience editorial team in our usual (hopefully) thorough, transparent and fair manner. Being a track focussing on cutting-edge research, we want to showcase the most cutting-edge platforms in scholarly communication in the process, and all submissions need to be submitted as pre-prints in BioRxiv and will be peer-reviewed openly in a special channel of the Preprint.Space peer review platform. 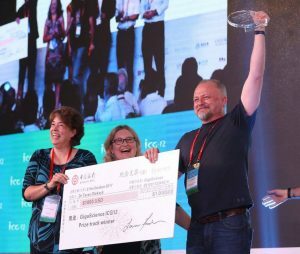 To make deciding on the winners more impartial the best winners will be decided by a judging panel encompassing other session chairs and external experts including Huanming Yang, Laurie Goodman, Lachlan Coin, and Paul Horton. More judges will be announced shortly. UPDATE: 12th June 2018 – we’ve just extended the submission deadline until the 30th June, so keep the entries coming!